and send my daughter to school." Asha Manohar Sawant lives with her husband Gajendra and their daughter. They live in a small house in the Ghatkopar area of Mumbai. 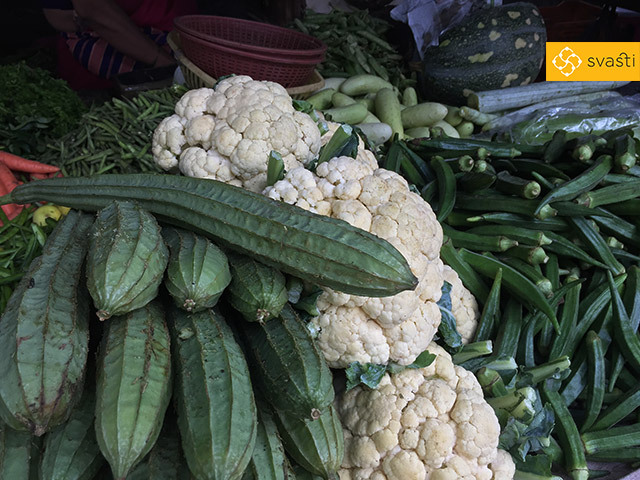 To make a living for the family, Asha sells vegetable through a makeshift roadside shop, and her husband works in a private company. 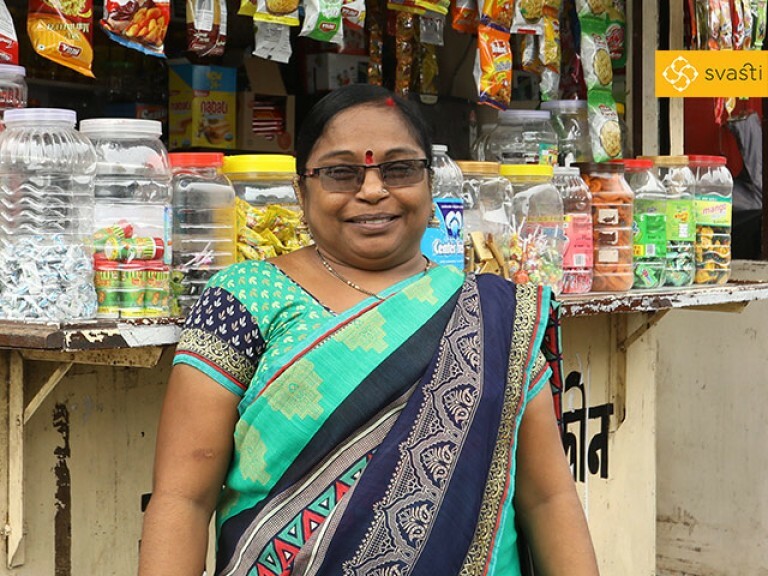 But businesses need cash, and Asha constantly needs money to buy vegetables from wholesale mandis, run her shop, and to support her family. Looking for a loan, Asha approached many finance companies, but they all denied her loans, saying she neither had income nor collaterals that could support her claim. 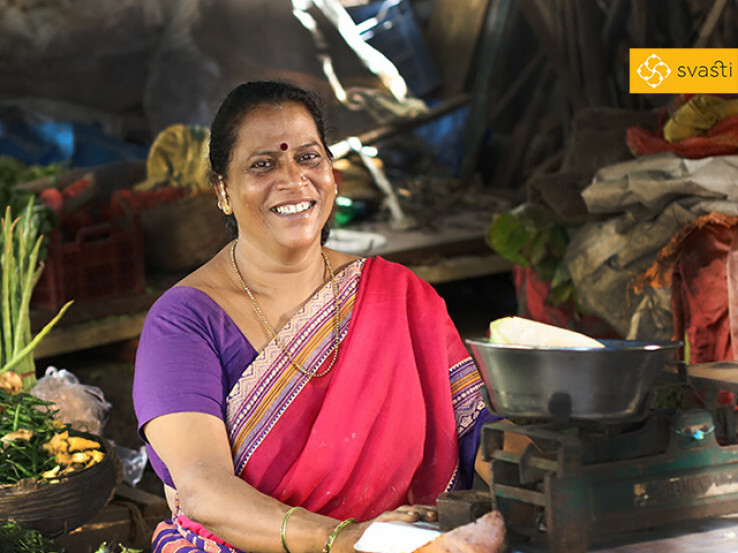 Then Asha heard of Svasti's Microfinance Loans, from a friend of hers who had taken a loan from us. 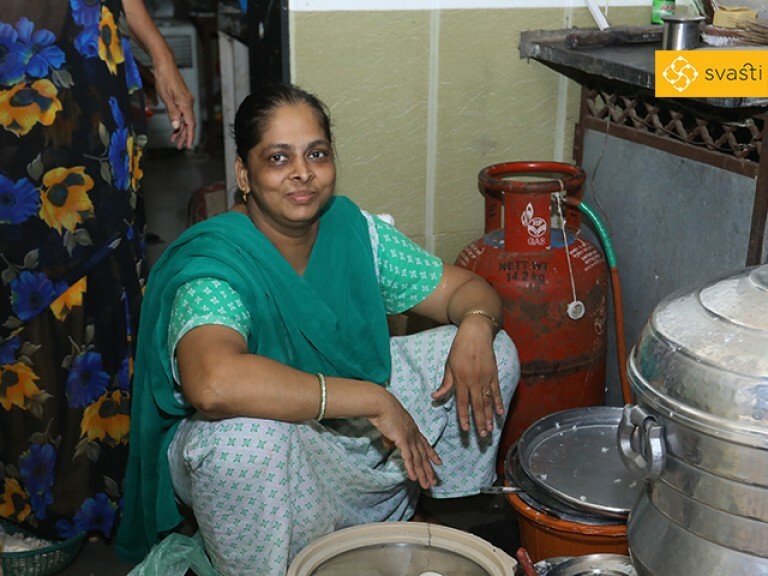 Asha, along with four other women formed a Joint Liability Group, and were provided Rs 10,000 from Svasti. 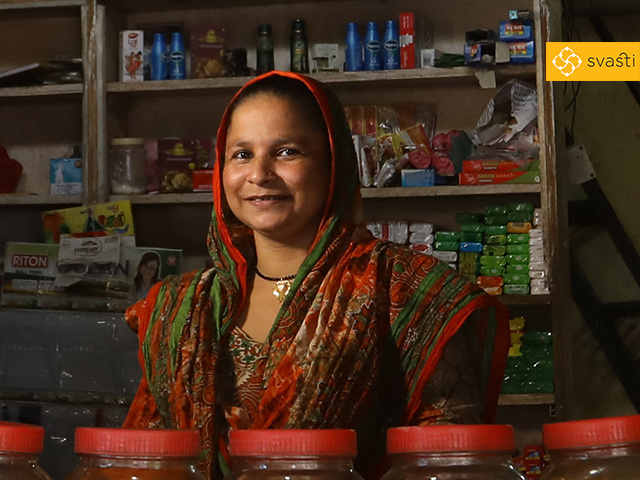 This allowed Asha to make her first wholesale purchase of vegetable stock for her shop, and improve her profit margin. 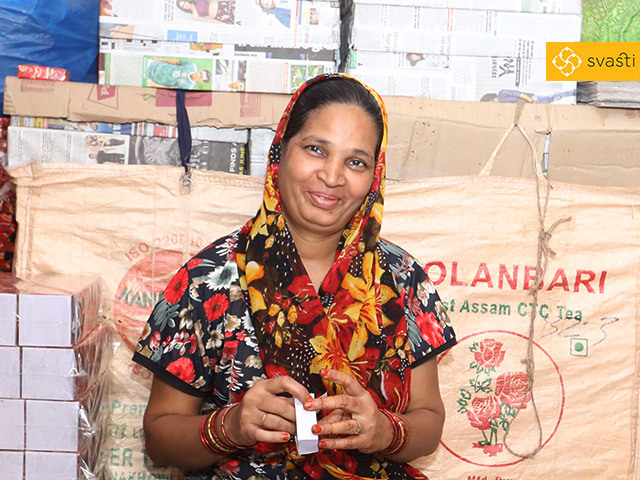 After repaying the loan of Rs 10,000, Asha took and repaid another microfinance loan of Rs 30,000. With her business doing well, she recently took another Svasti microfinance loan of Rs 50,000, and hopes these addtional funds will improve her business further, and help her buy space for a larger shop to replace the space she's renting right now. Asha says, "Svasti not only helped me do well in my business, it has helped send my daughter to college!" Buy shop, instead of renting.